Only Available in "Heavy Material"
This style offers front lacing with two flaps that cover the laces and secure with velcro, square cut top, fully lined. Extra durable crepe soles. Laces included. 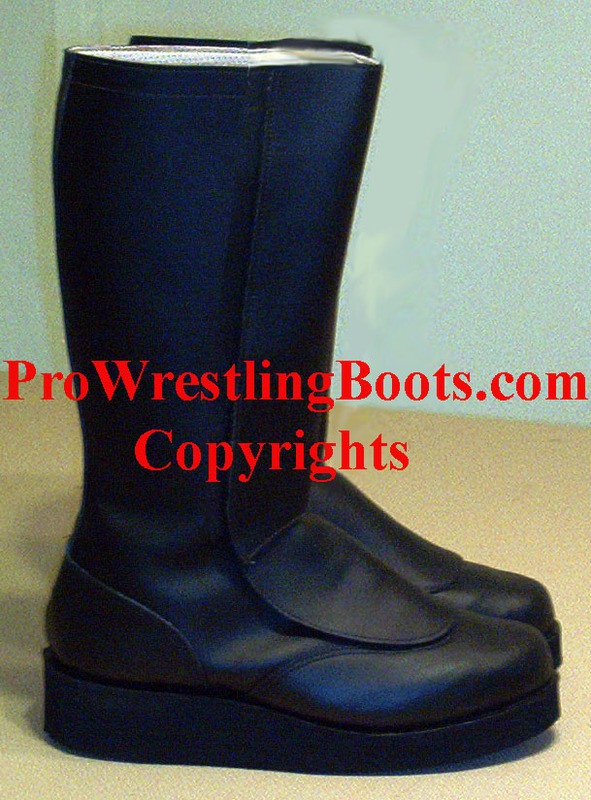 Our Wrestling Boots are UniSex for men or woman . Customers have the option of including a note with their payment in the checkout process. Please take the time to Select all measurements(Required) How To Measure? 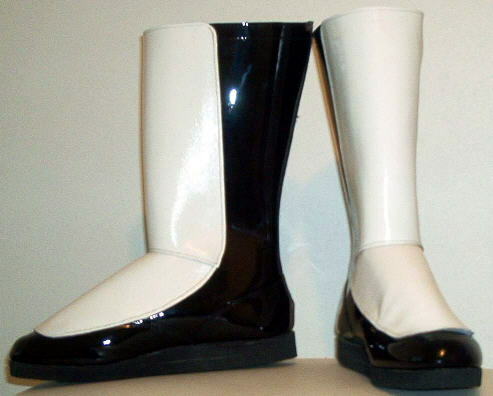 example: "Foot Size 9.5, Height 13", Calf 16", Ankle10.5", Long Heel 13". All sizes in "USA Men sizes" on your order. Flap Style, Natural Leather (dull finish): Colors available: Black, Blue, white or red. 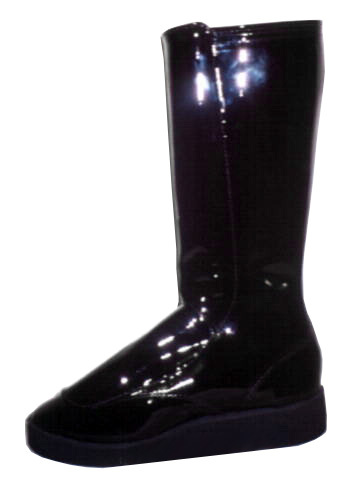 Flap Style, Patent Leather (shiny finish): Colors available: Black, red, blue or white. 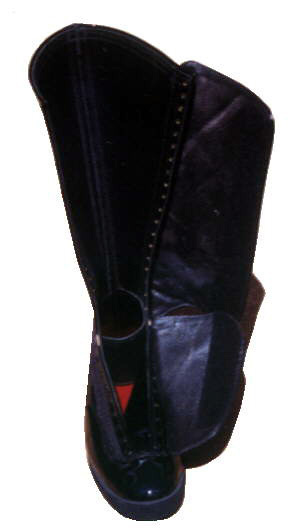 Click to view examples of double tone boots. They make you look taller. Increased cushioning on the soles of the feet. 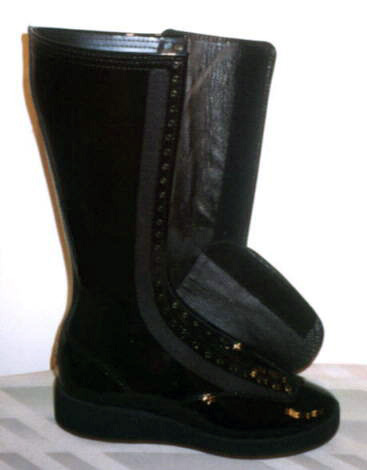 Extended durability, the soles will last longer before needing to be "resoled". You can combine multiple options. Simple Letters & Symbols 3" Height ? Click to view examples of Simple Letters & Symbols. 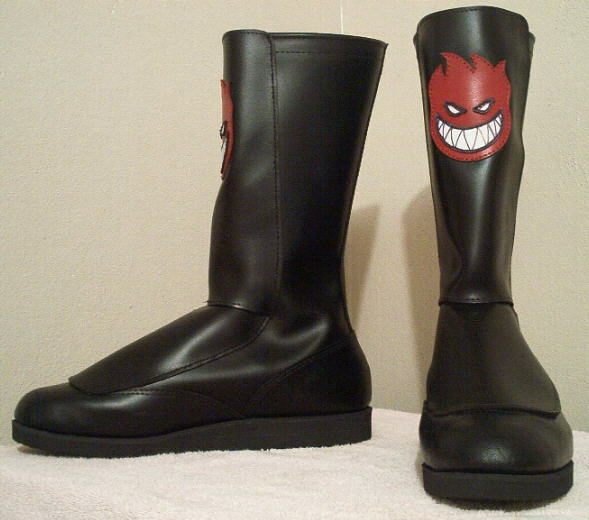 "Simple Initial or design" (3 inch) in red, black or white $ 25 per pair of boots (one letter per boot). If you order this option please write us a what color and letters you want. add $25.00 per pair . Normal in shop working time is 6 weeks from receipt of payment. Rush service refer to shop working time do not cover shipping time. By Priority Mail " With insured, take 3 - 7 Days in most cases. Insurance is included with Shipping. Shipping is calculate later in the checkout process. (only in USA) Overnight to most areastake 1 - 3 Days in most cases. "International Priority Mail " With insured, take 4 - 10 Days in most cases. Customers are responcible for any import fee.